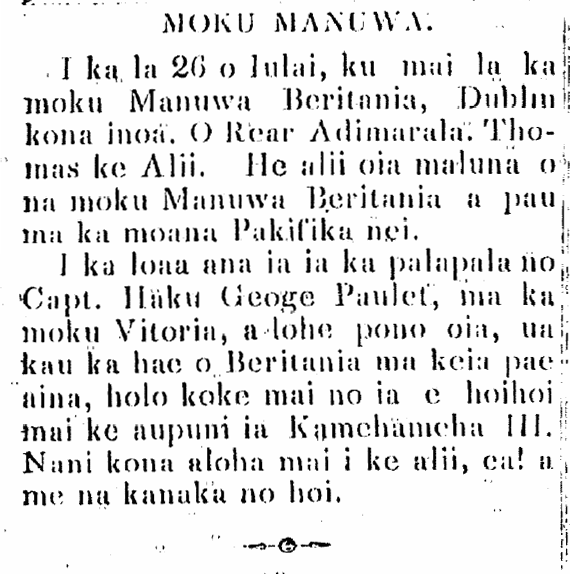 There are six men-of-war [manuwa] docked in Honolulu, on this day, the 4th of August. Three of them are from Britain, and three are from America. Here are the names of the British ships. (1.) Dublin, a frigate; Rear Admiral R. Thomas is the officer. The ships has 50 cannons. (2.) Carysfort is a small frigate; its captain is Lord George Paulet; this ship has 26 cannons. (3.) Hazard is a Sloop; Bell is the captain, and it has 16 cannons. These are the names of the American ships. (1.) United States is a frigate; Commodore Jones is the officer. The ship has 52 cannons. (2.) Constellation is a frigate; Commodore Kearney is the officer; it has 46 cannons. (3.) Cyane is a Sloop; its captain is C. K. Stribling; it has 20 cannons. 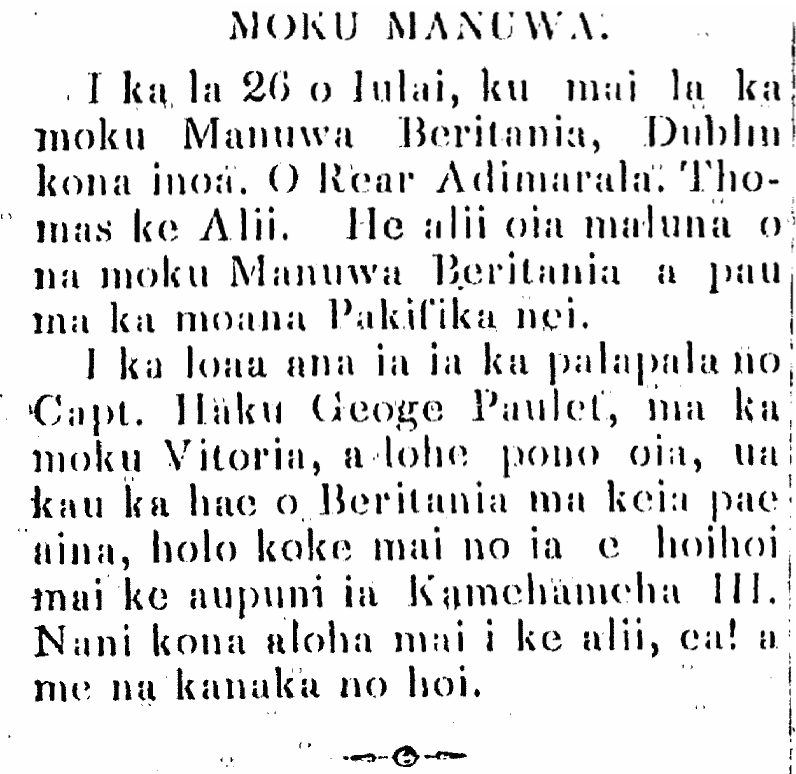 Ka Nonanona, Buke 3, Pepa 6, Aoao 29. Augate 8, 1843.